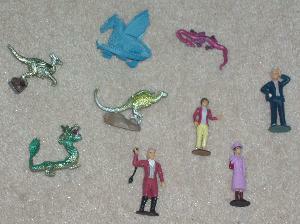 15 painted plastic figures (6 people, 9 dragons). 81 Bit of Knowledge cards. A very fiddly storage tray that's designed to show off the figures in the shop more than anything else. 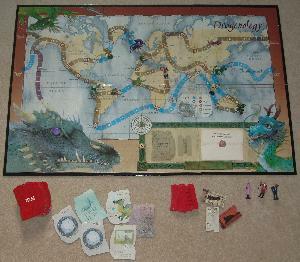 Gameplay: Players roll the dice in order to move across the board, choosing their path round the world in order to collect 'Bits of Knowledge' and travel tickets. Once they have three cards featuring information about the same type of dragon (or two specific cards and a wild card), they can go to that dragon's home square and claim it. Land, sea and air transport tickets allow players to travel across a continent, along an ocean route or to anywhere on the board, respectively. Rolling the dragon's eye on the dice grants immediate travel to the home of a dragon of their choice. Some Bit of Knowledge cards feature spells to do such things as steal other player's cards or take an extra go. The two Master Claw spells enable a player to purloin someone else's dragon by taking a matching piece of knowledge to the dragon's home. If a player lands on the same space as another player, they may gamble cards in a game of Rock, Paper, Scissors. Players may also trade cards rather than taking a normal turn. 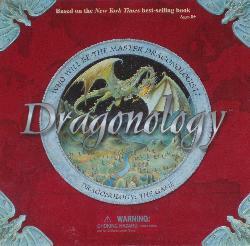 Once a player has three dragons they must travel to the Island of Winged Serpents in the middle of the Pacific Ocean. At this point they become immune to attacks and merely need to travel exactly seven more spaces to reach the Dragon's Eye. Object: First player to the Dragon's Eye wins. 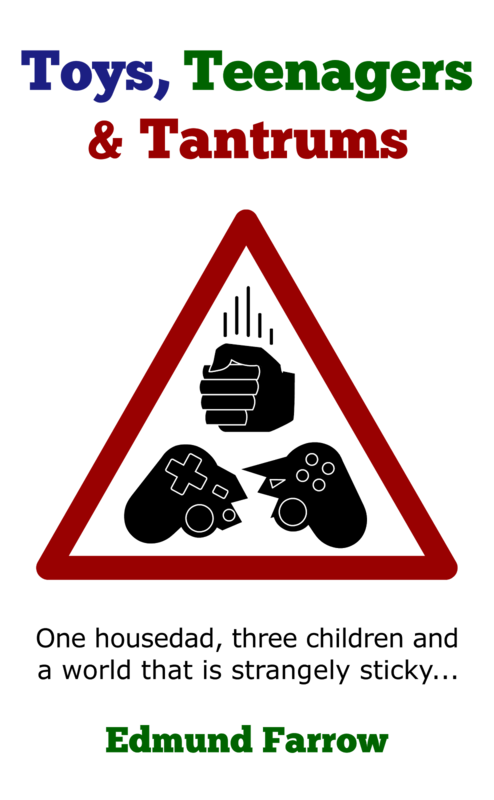 Game length: Around 45 minutes to an hour for a three player game. Number of players: 2-6. Remember, however, that there are only nine dragons, three are required to win and there are only two cards in the deck that allow dragons to be stolen. This being the case, playing with more than 4 players is asking for tedious stalemate. Playing with 2 players, meanwhile, essentially nullifies the possibility of trading and means that Confusion spells (which shuffle the opposing players' cards) are pointless. This doesn't knacker the game completely but does make it less fun. So, ideally, 3-4 players then. Age: 8+. The spell cards don't have any instructions on them, making the game slightly confusing to begin with because everyone has to memorise their effects or keep checking the rule book. This does mean, though, that children don't have to be able to read particularly well to play once they've seen the game in action a couple of times and have picked up what's going on. Any child who can reliably and quickly count eleven spaces on a board can join in. Comments: Playing this certainly beats Snakes and Ladders. Unfortunately, not by as much as you might expect. Since each player only starts with one card and landing on spaces to obtain more is a matter of luck, it can take twenty minutes of dice rolling and laborious counting to accumulate enough resources to achieve anything. Of course, everyone tends to reach that point at roughly the same time and there's a frantic scramble for dragons. This is where the game really takes off, with vindictive use of spells and desperate pleas to trade. Sadly, as soon as someone has three dragons, they tend to fly straight to the Island of Winged Serpents and they're stuck doing nothing other than rolling the dice each turn until they get the exact number required. Sometimes the other players can rush to catch up, other times there's no real hope and it's merely a case of plodding on until the player with the dragons finally throws a flipping 1. Having said that, Sprog1 (8) totally loves the game. I'm hoping to persuade him that it would be better if each player started with five cards but he's not having any of it. Ho well, maybe this is the first step to getting him playing something a little more interesting at least. Overall, most of the development time seems to have been spent on how the game looks rather than on how it plays. Some of the rules are a little unclear. Vast swathes of the board are unused, while certain areas are overly cluttered. The Bit of Knowledge cards are oddly shaped and one edge has spikes - this is all very well but makes them awkward to shuffle and ensures they become dog-eared quickly. On top of that, one of the player figures is poorly balanced and falls over constantly. (Handily, this is the one that children are always drawn to on first sight and want to be...) The main problem, though, is that much of the time there's just not a lot to do other than roll and move. Conclusion: Ironically, while the box is twice as deep as it needs to be, the game has only half the depth it should have. Better than Monopoly, Scrabble and most of the other tat that eight-year-olds are liable to force you to play. The middle section of the game is pretty competitive and entertaining. Not many pieces to be knocked out of place by a passing younger child flailing about for no reason. Sometimes agonisingly slow to finish. The dice and playing pieces are rather lightweight. May cause arguments about how to pronounce 'cockatrice'.